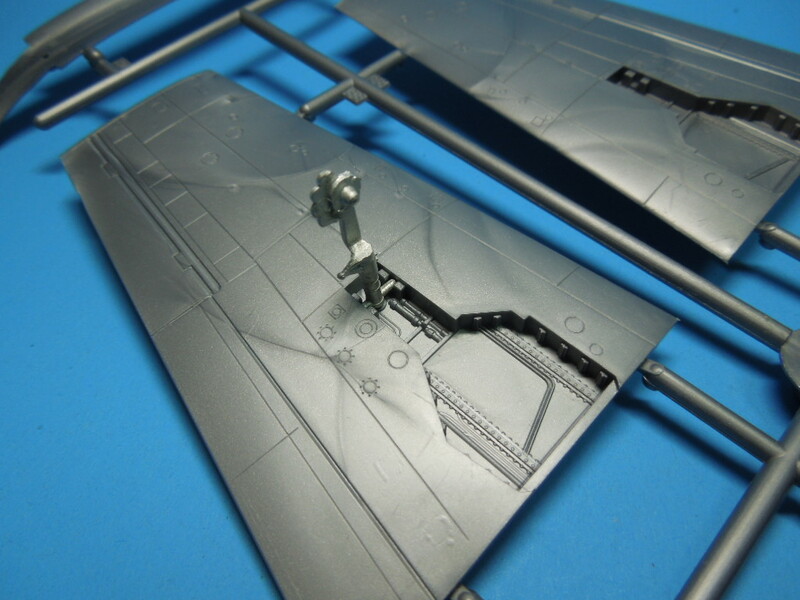 Scale Aircraft Conversions (SAC) produces white metal landing gear for various aircraft models in 1/144th, 1/72nd, and 1/48th scale. 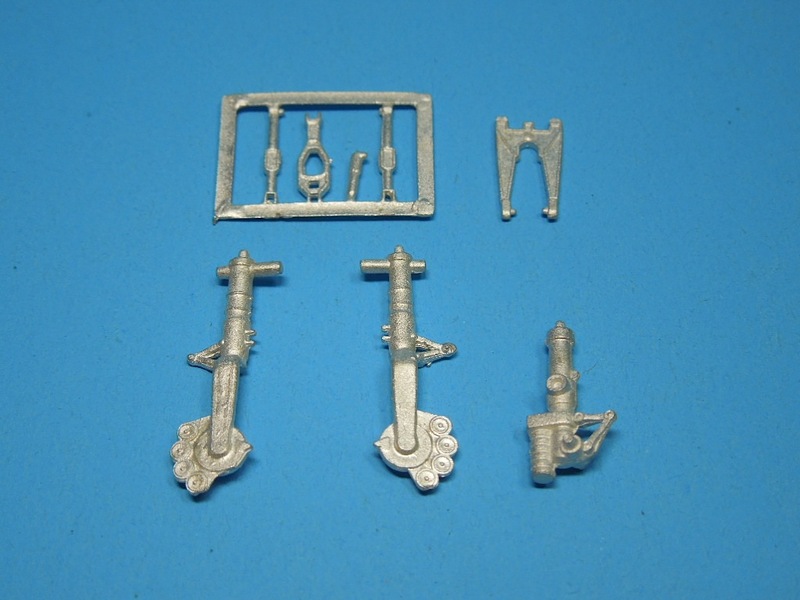 Most sets are direct replacements for the kit parts. The Revell F-89D/J has been around since the early 1990s (my boxing has a copyright date of 1992). Revell of Germany has recently re-issued this kit, and no matter which boxing you get, it is a nice model of the F-89D/J. 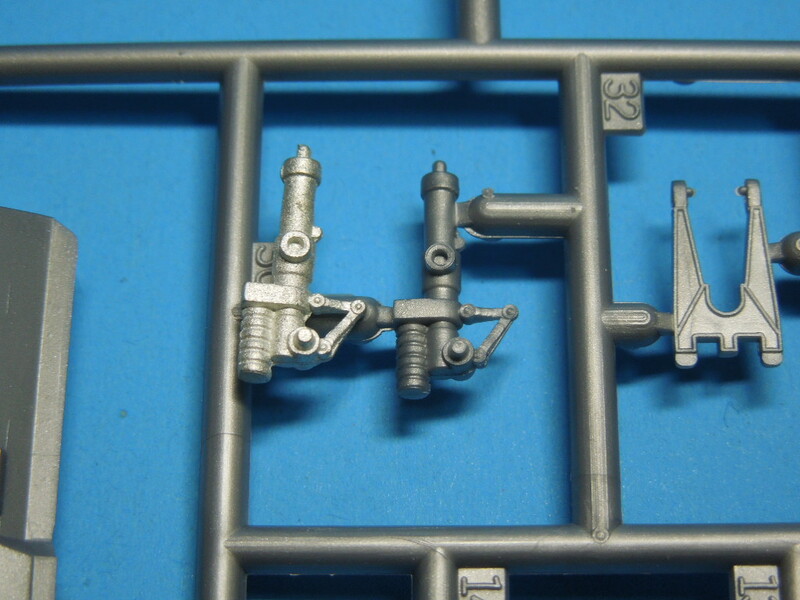 The SAC landing gear for the F-89 are direct replacements for the kit parts. The white metal parts have some mold lines that will need to be cleaned up, but are otherwise is great condition. Due to the nature of the material used, I do feel that some of the finer details of the landing gear are not as crisp as their plastic counterparts. However, after some paint and weathering this should not be an issue. The SAC parts fit exceptionally well. You will only need a little super glue to keep them in place. 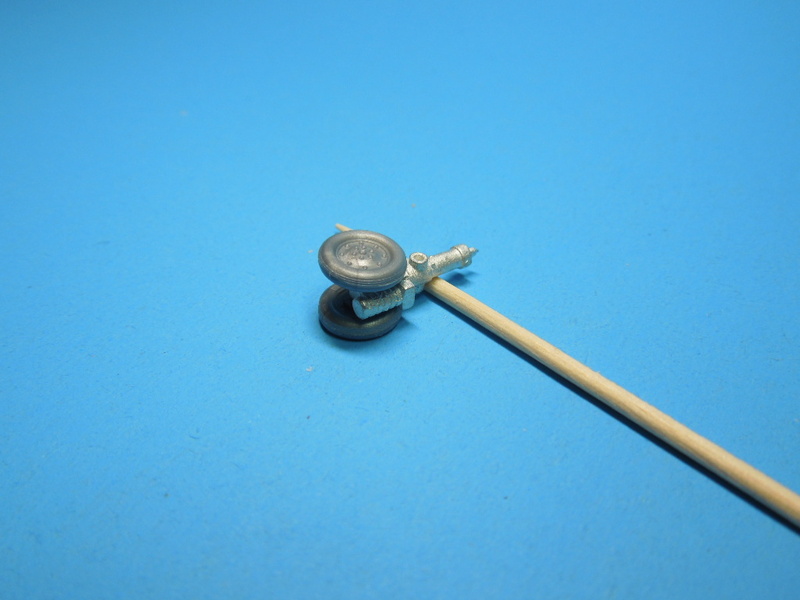 The fit of the Revell wheels to the SAC parts was also top notch. 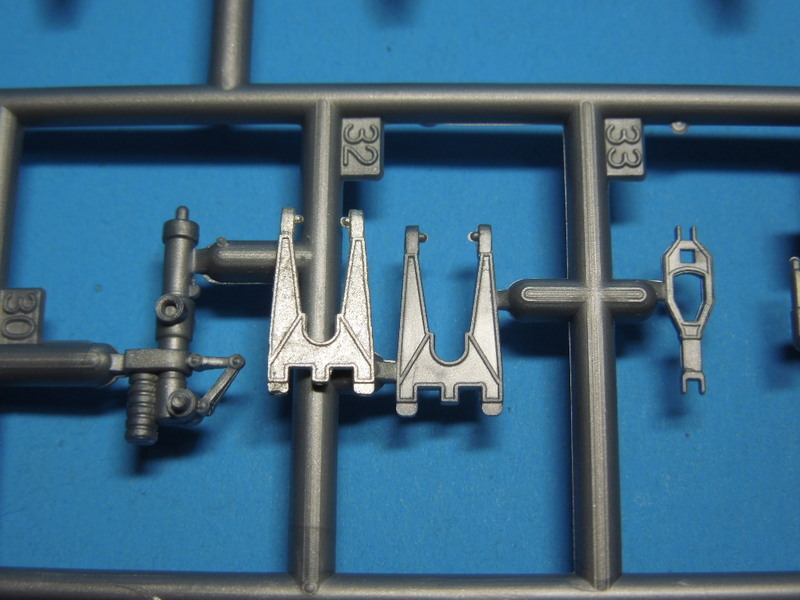 I do not have any of the Hobbycraft F-89 kits, but there's the potential that these parts could be used for those kits as well. However, based off of how well they fit the Revell kit, I would venture to guess that some more work will be needed to get them to fit Hobbycraft kits. 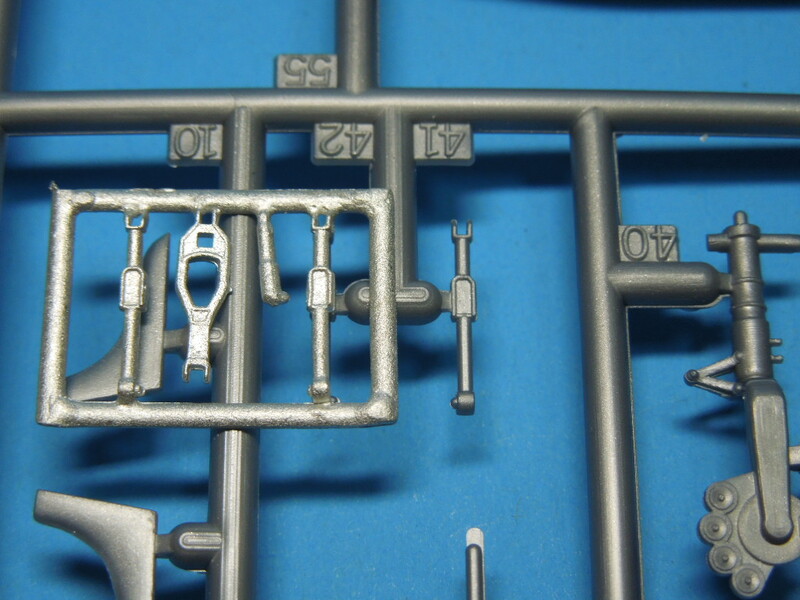 The SAC parts do not have any more or any less detail than the Revell parts. But what they do add to the model is a stronger base on which to set your Revell F-89D/J. 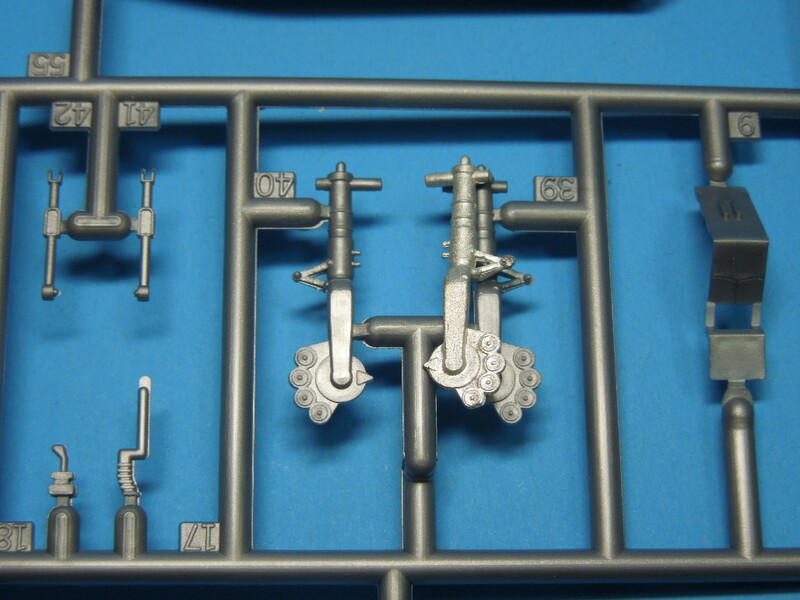 A little seam cleanup will be necessary but otherwise these will drop right in to your Revell F-89 kit. I'm looking forward to using these on my Revell F-89 project! My sincere thanks go to Scale Aircraft Conversions for providing the kit and to IPMS USA for allowing me to review it.